Here it is! The Armies on Parade post I have been putting off posting since the event. This is going to be a rather photo heavy post. Clicking on the pictures below to zoom in! 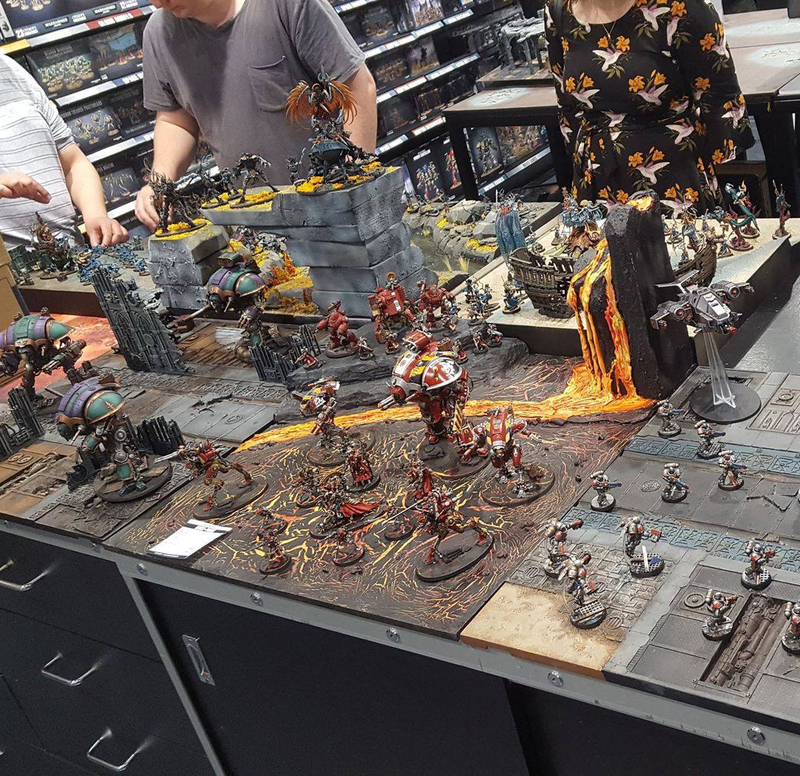 This year was my first year participating in the event at my local Warhammer store, and I had a lot of fun. 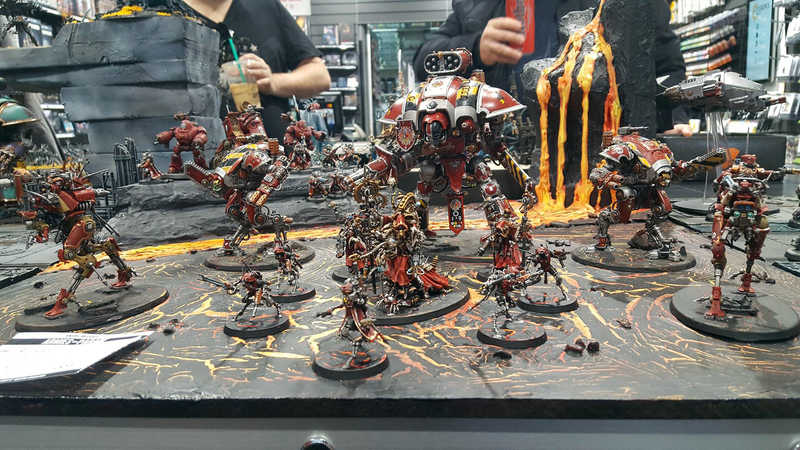 I put in what ended up being months of work getting my Ad Mech painted up for this event, and it really helped drive me to finally have a fully painted army. I am very proud of how they look when displayed together. The overall story of my board is Belisarius Cawel inspecting a newly acquired Mars aligned planet for the forge design planning. He is escorted by his personal Infiltrator guard, Ferrous Maximus and cohort, and an assembly of other forces to watch for any resistance the Astartes may have missed. 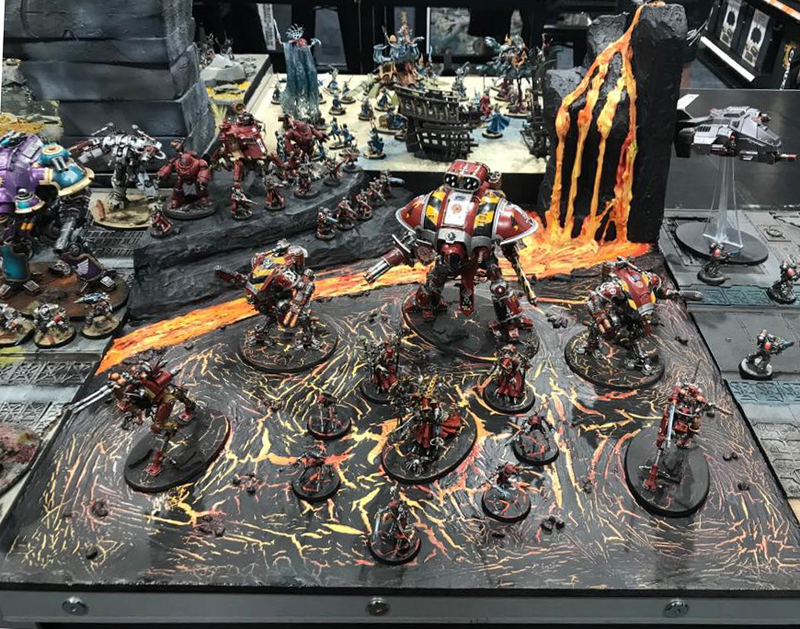 From the beginning of my interest in displaying my Ad Mech, I knew it had to be a lava board. Now that it is all finished and displayed, I slightly regret the way that the red and yellow of the board stops the models from sticking out. Putting together the board was a challenge to my terrain modeling skills. It involved way too much hot glue and bottles of crackle paint. I went for the full 2-foot by 2-foot size that was allowed so I could have room for my the larger miniatures. It took a lot of sketching before I had an arrangement of models that I liked, and I transferred that to the wood board. 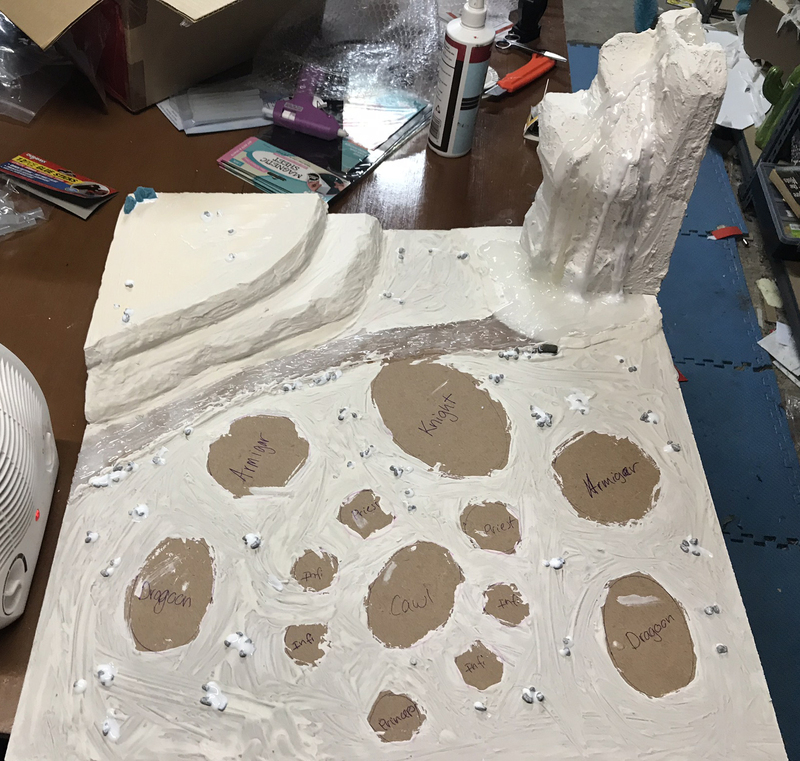 The board was made by carving the lava fall and hill out of insulation foam board, and then texturing that with small rocks and filler. 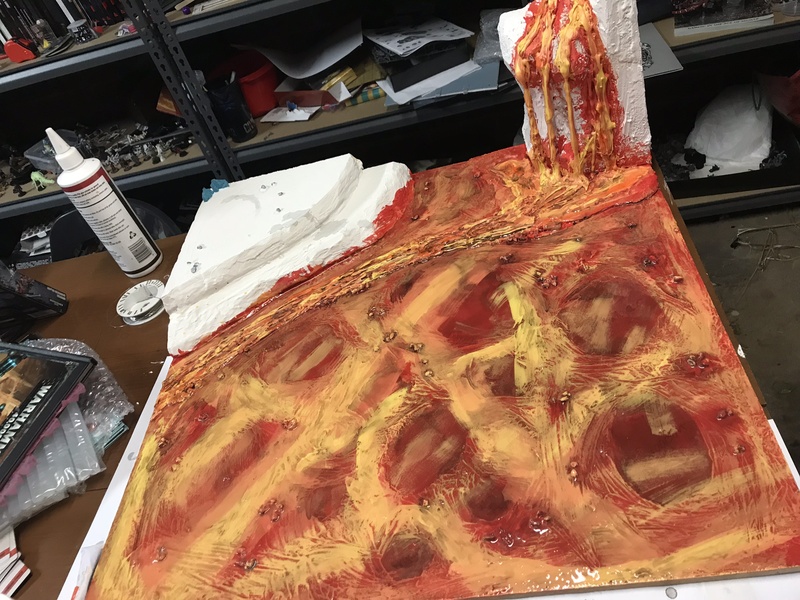 I applied lots of hot glue to make the lava fall look like it was flowing and to make a raised lava stream. I think I used about 3 packets of glue before I was happy. 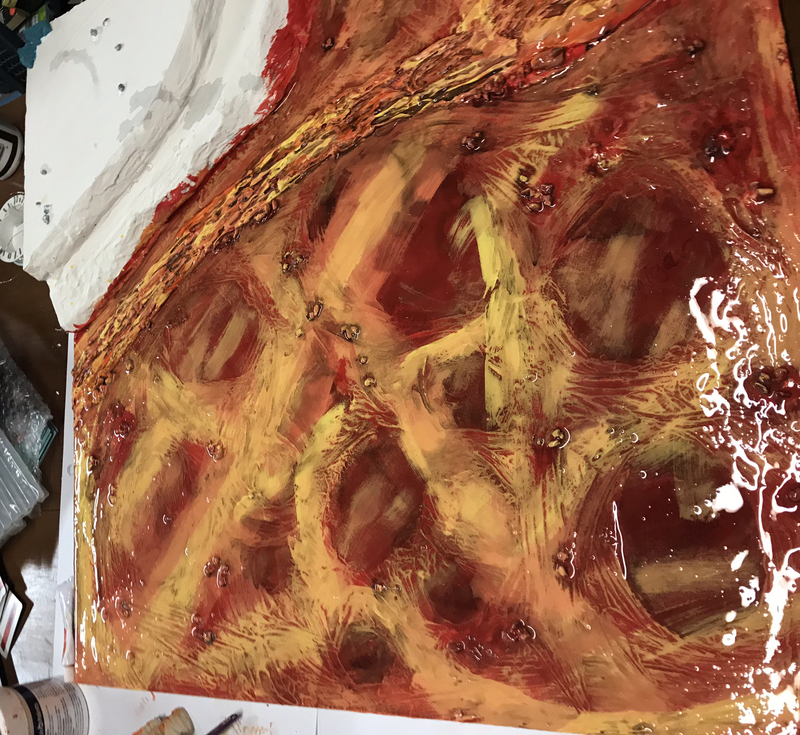 I then painted the board in red, orange, and yellow. I shaded it with watered down black paint and coated it in a thick layer of crackle paint. The final layer was acrylic black paint that cracked as it dried. This is the same technique I used for all of my Mechanicus bases. 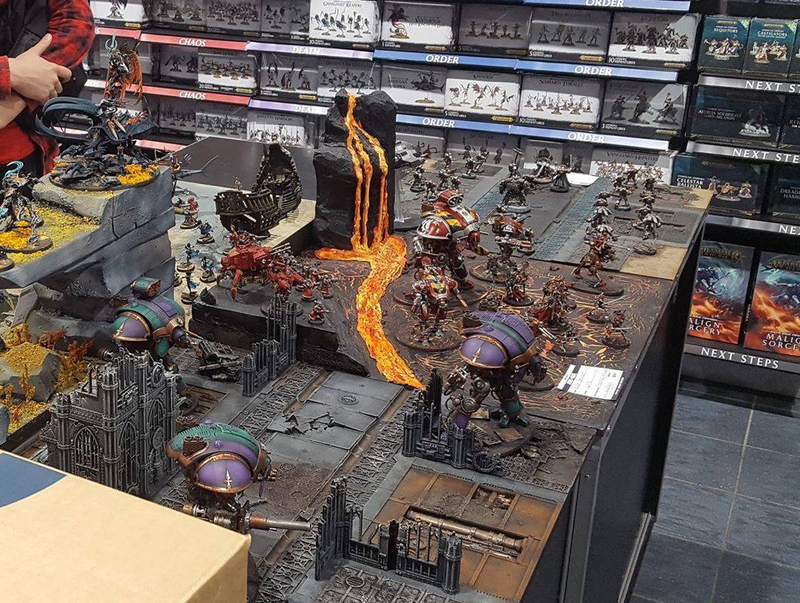 I am already planning big things for my 2019 board, though I am still not decided on the 40k or Sigmar category. Thank you for looking! Great stuff Ellen. It all looks great to me but the work you put into the lava flow has really paid off and looks fantastic. Thank you! Half way through the squeezing of hot glue from the gun I was questioning myself if it was all worth it, but I think it certainly was. Wow! Great work. I’m impressed. I really liked the WIP shots too. Excellent! Those bases really come into their own when they’re on the matching display board. Thank you! 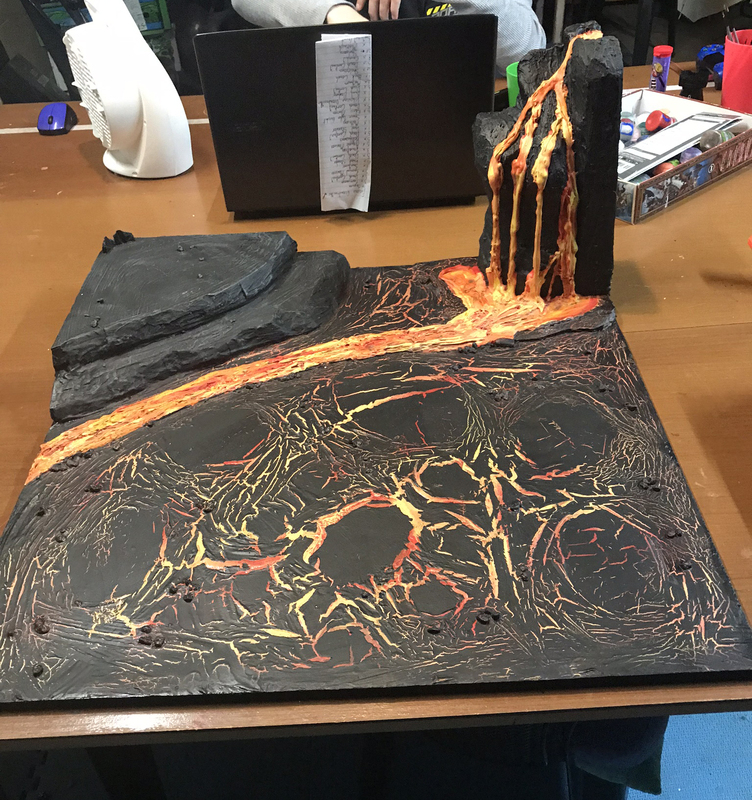 I am tempted to make more lava boards so I can have a playable lava table but at the moment I’m a bit lazy. One day! I wouldn’t call that lazy. 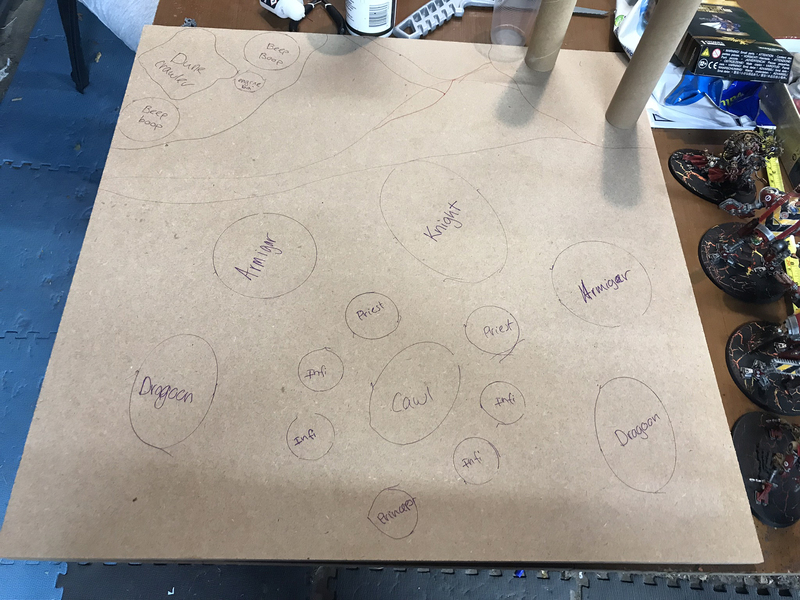 Making a full tabletop is a ton of work. Nothing wrong with not having that kind of time/energy! That is true. Maybe I will enlist help from someone and smash it out. Then we could all play together later!